HOSHIZAKI WORKS AT THE DRINK FACTORY - Hoshizaki Europe B.V.
Ice is a subject taken seriously by the Drink Factory, the company created by world renowned bartender, Tony Conigliaro, and its three London bars are kitted out with an assortment of Hoshizaki cube ice makers. 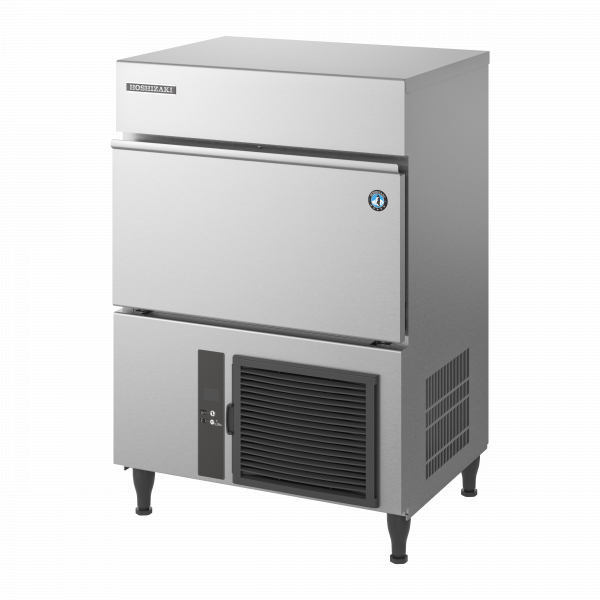 The super-sized cubes have an even slower dilution rate than regular Hoshizaki ice which is a key consideration when flavour appreciation is so important. “Also, a lot of our drinks are very focused and minimal which the single, statement cube of ice really emphasise,” continues Zoe. Two of the minimal drinks that are made with this ice, Rye and Rice are on the menu in Untitled, the Drink Factory’s newest bar in Dalston. Rye is made with rye whiskey, home-made toasted rye syrup and rye bitters and finished with a squeeze of lemon. Rice consists simply of saki and home-made saki lees syrup. Both are served in rocks glasses wide enough to accommodate the large Hoshizaki ice cube. Click here to view the Terms & Conditions of Use for the Hoshizaki Europe B.V. website.